MCCONNELL AIR FORCE BASE, Kan. — Blood is thicker than water. 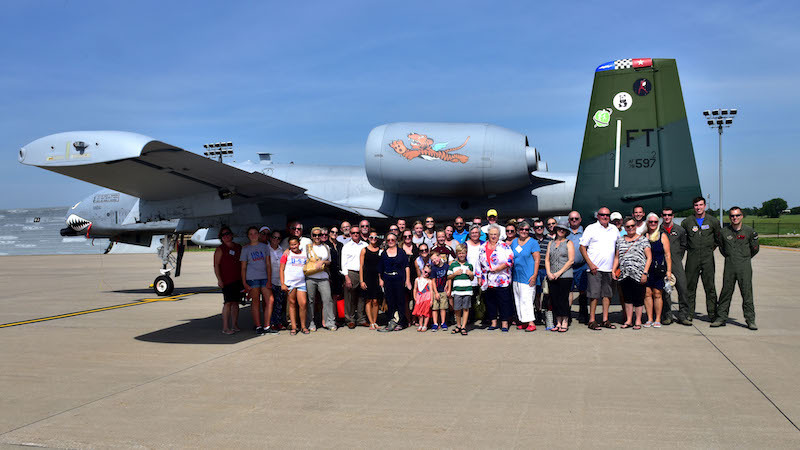 For the family of an American Volunteer Group pilot killed in a 1941 training accident in Burma, it ran the Pacific Ocean and spurred a search lasting until his remains reached Kansas 75 years later. 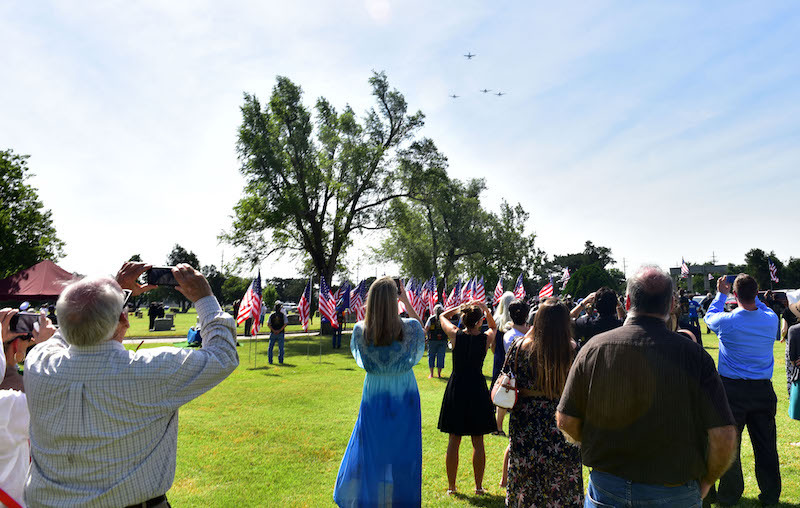 John Dean Armstrong, a Hutchinson, Kansas native, was buried Saturday, June 17, in his hometown, his life celebrated by many he never met, and given an aerial salute by the fighter group that carries on the linage of his infamous Flying Tigers.“We all refer to it as a homecoming, not a funeral. It is a sense of relief. I was so appreciative [and] thrilled,” said Lynn Evans, one of the two nieces leading the charge to find her uncle. “My uncle is home. 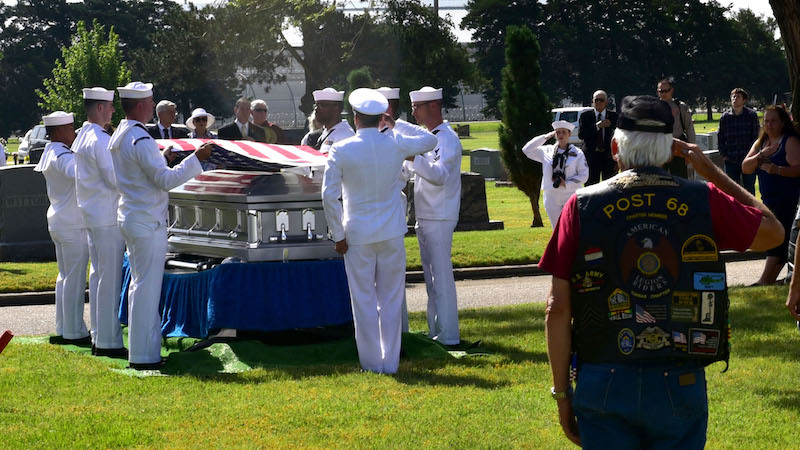 The Flying Tigers honored him.”In addition to the flyover, a Navy Honor Guard paid respects at the graveside service with a 21-gun salute and a folding of a historic 48-star flag. 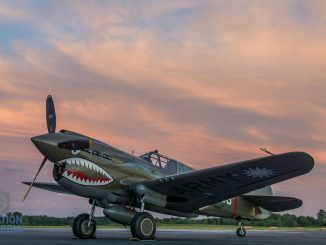 As the AVG, who become known as the Flying Tigers, consisted of some of the best Navy and Army Air Corps pilots, it was fitting that two services come together to honor Armstrong at his homecoming. “The two forces worked together then and now,” said Karen Beauprie, another niece involved in the search. 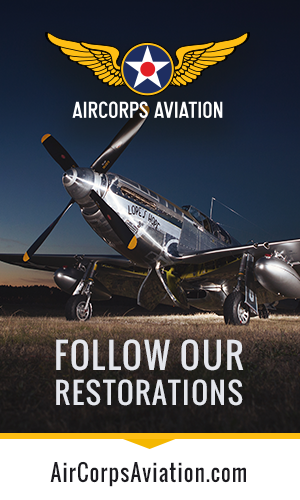 Armstrong, formerly of the Navy, answered the call from then-U.S. Army Air Corps retired Capt. Claire Chennault for volunteers to assist the struggling Chinese Air Force and stop Japanese aggression in 1941. 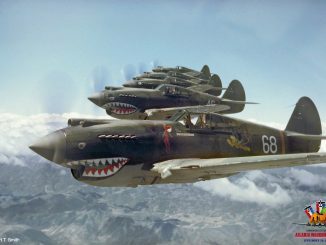 The AVG consisted of three pursuit squadrons flying the Curtiss P-40 Warhawks painted with the infamous shark’s teeth pattern. Armstrong, a member of the 2nd Pursuit Squadron known as the Panda Bears, died during a training flight Sept. 8, 1941. 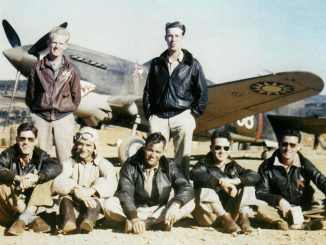 After the accident that took his life, Armstrong was formally buried in the Airmen’s Cemetery at St. Luke’s Anglican Church in Toungoo in Burma. After the war ended, an American Graves Registration Service team recovered the remains of three AVG members. 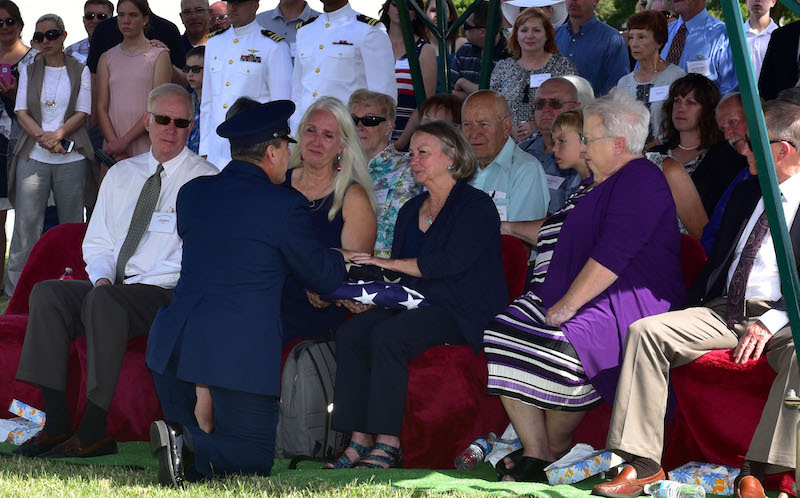 The remains were declared unidentifiable and temporarily interred in the U.S. Military Cemetery at Barrackpore, India in 1948 before being moved again to Hawaii and buried at the National Memorial Cemetery of the Pacific, as World War II Unknowns. On April 11, 2016, the remains of the three AVG members were sent to the Defense POW/MIA Accounting Agency laboratory for analysis. DNA and circumstantial evidence proved the identity of the three AVG members. Armstrong is the last of the three AVG members to return home from this long journey. 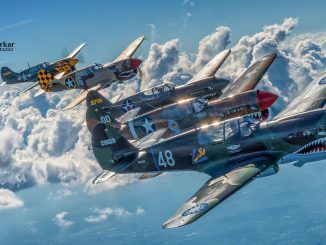 Members of the 23rd FG have flown missing man formations over funerals in the past and said they were honored to do the same for Armstrong. 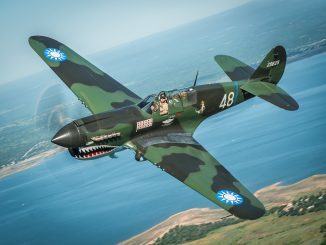 “I thought of Dean flying the plane into the sunset,” said Beauprie after watching the final salute to her uncle.